While we hope that your smile will always remain healthy, there are times when oral surgery will be necessary to restore health to your teeth and gums. 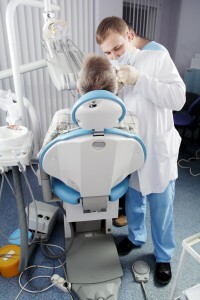 You may not realize it, but Dr. King Scott can perform a number of oral surgeries right there in his office. As part of their dental training, your general dentist is actually trained to perform a number of oral surgeries. This can be an advantage because you won’t need to find a specialist and won’t have to go to another office. However, there are times when an oral surgeon will be the right choice to perform complicated procedures. Depending on the procedure, Dr. Scott will decide on the right choice for your smile. We want to help our patients receive the dental care they need in a convenient manner. Dr. Scott can perform a variety of oral surgery procedures, allowing you to receive the care you need without needing to go to a specialist. Call us to learn more or if you have any questions about oral surgery.